Hey everyone! I’m back! Well, at least for a short while. Our next wedding is in 3 months, so if I fail to post….you’ll know the reason! I LOVE a caprese salad… tomatoes, mozzarella, basil…yummm! 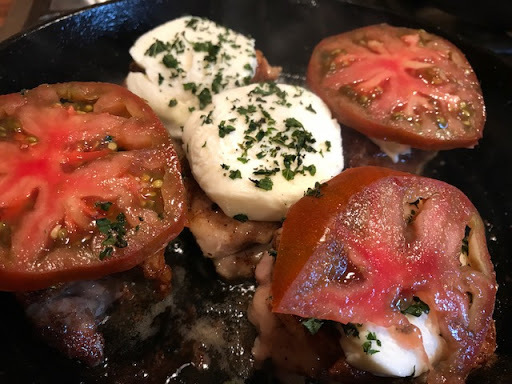 I found a recipe for Caprese Chicken and thought I would try it. You should try it, too! It’s delicious! Rinse the chicken thighs and pat dry with a paper towel. Liberally, salt and pepper the thighs. In a small saucepan, simmer the Balsamic Vinegar until reduced by half. In a medium cast iron skillet (preferably), melt the butter on medium high heat. When the butter begins to brown, add the chicken thighs and cook on each side for 4-5 minutes until they are golden brown and almost cooked through. 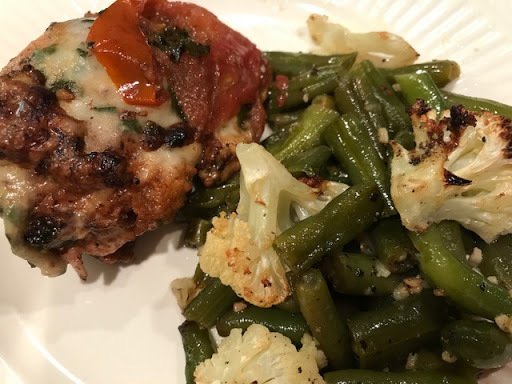 Top each chicken thigh with a slice of mozzarella cheese, tomato, and basil. Cover the skillet and let simmer until the cheese has melted. Once the cheese has melted, pour over the balsamic reduction and let heat thoroughly. This is such a simple recipe and really delicious! 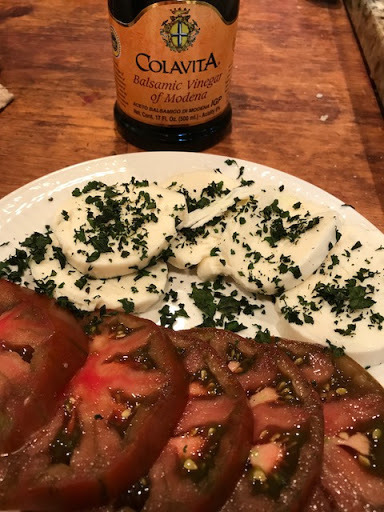 If you prefer your tomatoes less cooked, wait until the cheese has melted, then top with the tomatoes and add the balsamic reduction.